A practical mid-layer for your climbing adventures: the Mammut Logo ML Hooded Jacket Men is made from a double-face material with stretch properties for greater movement. 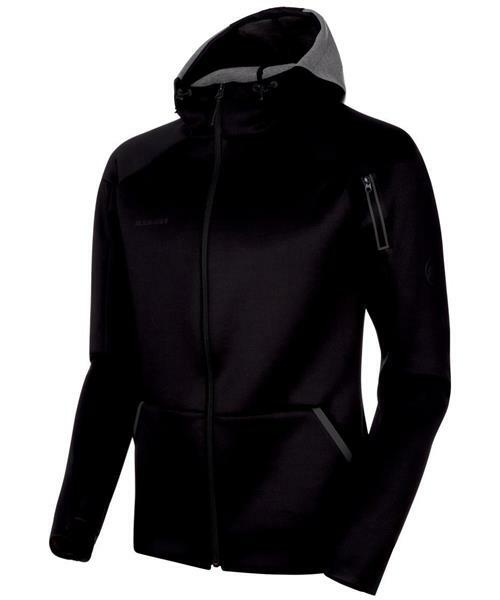 A range of features including a hood with an elasticated drawstring and two slit pockets add the finishing touches to the mid-layer’s design. The Mammut Logo ML Hooded Jacket Men also impresses in the visual stakes with an embossed logo.